Tea Tree Oil for Dry Scalp (It Provides Lasting Relief from Irritation)! » Tea Tree Oil for Dry Scalp (It Provides Lasting Relief from Irritation)! You’ve likely heard of using tea tree oil for dry scalp, but do you want to know if it works? When you’ve had enough of the redness, soreness, flaking, and irritation caused by scratching your head constantly, you should take steps to heal the scalp with tea tree oil. It’s a natural remedy that not only gets rid of the relentless itching, but it also cleanses the roots of your hair. This will enable the scalp to breathe and stay properly hydrated, leaving you with a more healthy hair and scalp. If your life is being ruined by a dry scalp and you’re finding it hard to get a good night’s sleep, it’s hard to imagine the sense of relief that you’re inevitably going to feel. Tea tree oil has been proven to help with hair growth. This is because it opens up the clogged pores on your scalp, giving your skin the chance to release much-needed oils, allowing your scalp heal. 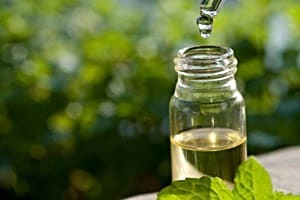 Tea tree oil helps with many different health and skin-related conditions, so it never hurts to have a bottle stored in your medicine cabinet. Why Use Natural Treatments for Dry Scalp? What’s Causing the Scalp to Be Dry & Itchy? Why Use Tea Tree Oil for Scalp Conditions? The first thing that people tend to do to get relief for a dry and itchy scalp is to run to use a chemical-based shampoo. But this can sometimes make matters worse. Some chemicals can be damaging to your skin. Don’t despair because there is a better way. Pro Tip: Many people are turning to all-natural hair products, such as Paul Mitchell Tea Tree Hair and Scalp Treatment. This is 100% natural and good for your scalp. It combines a perfect combination of natural extracts (including tea tree oil) and essential oils, providing immediate relief for dry scalp. It should be used only once or twice a week, depending on the severity of your scalp condition. It may be that you have an underlying medical condition, such as psoriasis, ringworm (a fungal infection), or eczema. If that’s the case, you’re going to need a specialist shampoo or treatment for eczema. Many people confuse dry scalp with dandruff. Although they are similar, they are not the same thing. When your skin is not hydrated, it becomes dry and itchy. It also becomes dry if it is not nourished correctly. Excessive shampooing robs the skin of its natural oils, making your scalp prone to many things. The use of hair coloring, straighteners, perming, blow drying, hairspray, etc., can all damage the hair and scalp. Do you know what’s causing the dryness? Do you have a medical problem, or is it due to hair products? You should consult a doctor to get an accurate diagnosis, but we have covered the different causes and treatments for a dry scalp in this post. Natural products are becoming increasingly popular because people are finally realizing what some man-made products are doing to their hair and skin. 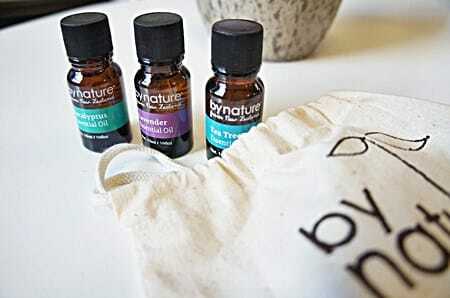 Essential oils have their advantages for treating dry scalp. They not only clean the excess oil (sebum) from your scalp, but they put oil back into your scalp (when it is lacking) so that it can stay healthy. Tea tree oil provides relief for dry scalp. It can remove the underlying cause. Use to treat dandruff, because of its antifungal properties. It unclogs the pores on your scalp by getting rid of the chemical residue left behind by shampoos and other products that you use on your hair. When applied and massaged into your scalp, it moisturizes it, thus reducing the dryness and itchiness. Tea tree oil is made from the leaves of Melaleuca Alternifolia plant. This plant is native to Australia and has been used for hundreds of years, due to its medicinal qualities. When added to shampoo, it not only cleanses your hair, but it also opens the clogged pores, letting your skin breathe, and improving blood circulation. This is why we’re such big fans of Paul Mitchell Tea Tree Hair and Scalp Treatment. It not only helps to treat dry scalp, but it also prevents other common scalp problems from developing. When you use a tea tree oil shampoo, it will not only help your scalp to feel better, but the shampoo will also clean your hair follicles – this will help to let the roots of your hair soak up the natural oils that it needs, making your hair healthier. Simply add a few (6 – 10) drops of Apothecary tea tree oil to a natural shampoo and mix thoroughly. You’ll discover that Australian tea tree oil is 100% pure has natural antiseptic and germicidal properties. It cleanses, purifies, and renews your skin, relieving the itchiness of the scalp. Although there are many causes for scalp conditions, the most common reasons are the lack of proper vitamins, dehydration, and not enough (or too much) oil in your skin. You will love the relief that you will feel when you start to use tea tree oil for dry scalp. The above products are completely natural. To make sure that you are not allergic to an essential oil, put a small amount of the substance on the back of your scalp (a less visible area) before use. That way, you won’t have to deal with an allergic reaction. Just because a substance is natural and organic doesn’t mean that your body won’t react adversely. Please perform some basic testing first. Most people who use tea tree oil don’t experience an allergic reaction, but they do benefit from a healthier scalp and hair.